Qualcomm (NASDAQ:QCOM) is getting paid after all. After years of preliminary skirmishes and the seating of a jury in San Diego, Apple (NASDAQ:AAPL) walked away from its Apple vs. Qualcomm trial, surrendering to its San Diego-based rival. The reaction was immediate. Within 10 minutes of the agreement’s announcement Qualcomm shares were up almost $10, and the gains continued overnight. Shares that had been stuck at $57 for most of April 16 would open April 17 at over $70 each. For Apple shareholders, the reaction was more muted. Its shares briefly lost $1 each in the minutes following the agreement, then shot back up to over $200. They opened April 17 at $199.25, midway between the bullish and bearish calls. The agreement leaves Qualcomm as the unquestioned kings of 5G technology, and leaves the ambitions of Intel (NASDAQ:INTC) in the dust. Intel had hoped to become a modem supplier to Apple but dropped out of the business a few hours after the Apple-Qualcomm agreement was announced. Intel stock rose as much as 4% overnight as it was getting no revenue from modems and will no longer carry those expenses. What looks like a complete surrender to Qualcomm’s terms came in a terse Apple press release that didn’t specify how much Apple would pay, either directly or in its license agreement. An identical copy of that release was placed on the Qualcomm web site. One industry publication speculated that it was Intel’s failure to meet deadlines on 5G chips that finally brought Apple to the table. Apple had also looked into getting phone rival Samsung Electronics (OTCMKTS:SSNLF) or Taiwan’s MediaTek to supply modems for the iPhone 11. Ultimately Apple is expected to make its own 5G modem chipsets, but whenever it does, it will be with a Qualcomm-licensed design. Qualcomm had previously beaten several governments on its principle of “no license no chips.” The U.S., South Korea, the European Community and even China all lodged antitrust fines against the company, but its policy remained in place. During the fight, Apple sought to get around Qualcomm patents, while Qualcomm lawyers won temporary bans against iPhone sales in China and Germany, even winning such a case in the U.S. When Apple filed its suit in January 2017, it called the link between the patents and Qualcomm chips an “illegal double dip” and “a scheme of relentless extortion.” Apple first began buying Qualcomm modems for the iPhone 4, in 2011. As the fight escalated, Apple got its suppliers to withhold royalty payments from Qualcomm, with an estimated $27 billion eventually set aside. That money will now go to Qualcomm stock, which said the agreement will add $2 per share, or $2.4 billion, to its current quarter’s earnings. Apple’s decision to end its battle will let the iPhone 11 and future phones proceed to market. It leaves Qualcomm in control of what happens with other Apple technology that might use 5G in the future, like the Apple Watch. In the past I called the Apple war Qualcomm CEO Steve Mollenkopf’s “Vietnam,” but it has been more of a Cold War activity. Amazingly he seems to have won it. Mr. Cook has torn down his wall. Dana Blankenhorn is a financial and technology journalist. He is the author of a new mystery thriller, The Reluctant Detective Finds Her Family, available now at the Amazon Kindle store. Write him at [email protected] or follow him on Twitter at @danablankenhorn. As of this writing he owned shares in MSFT and AAPL. 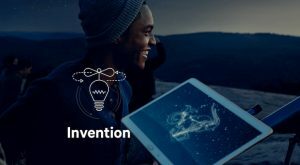 Article printed from InvestorPlace Media, https://investorplace.com/2019/04/apple-blinks-pays-qualcomm/.